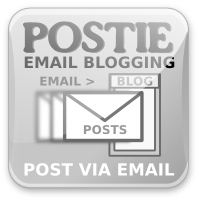 After more than a month of fixing bugs and adding features, I have decided it is time to release Postie 1.3.0, the wordpress plugin which adds many features to post to your blog via e-mail. 1.3 offers many new features over the 1.2 line of postie, including better attachment handling, better language and character set support, and easier configuration. Here is a list of the new features and bug fixes from 1.3.beta to 1.3.0. I want to thank the many users who were willing to test out new features and bug fixes by trying out the development version. in particular, I want to thank Kyle and Hab at Abilene Christian University for offering me financial support to develop some additional features for their use of postie for a course at their university. I think that other postie users will enjoy some of these new features as well. This entry was posted in wordpress and tagged plugin, postie. Bookmark the permalink.